Holly has been choreographing and directing summer camps, master classes, and special events for Camp Broadway since 2007. Originally from the suburbs of Detroit, Michigan. Broadway credits: Swing, Guys and Dolls, and Dream & Nightmares starring Master Illusionist David Copperfield. Holly was featured in 5 of Mr. Copperfield’s Emmy winning CBS TV Specials, dance captain for the world premier of Houdini: The Musical, featured in the Radio City Music Hall Christmas Spectacular, The Tony Awards, Cabaret, and Disney Live Productions for Hercules, and The Little Mermaid. Holly has performed alongside Liza Minelli, Shirley MacLaine, Dance Coach to Penelope Cruz, and assistant choreographer for the film Vanilla Sky. Favorite roles: Principal Dancer in the original TV Series FAME, and presenting Oprah Winfrey with the Elie Wiesel Humanitarian Award. Holly is currently producing director for the Summit NJ Franklin school musical Beauty and the Beast. Theo Lencicki, originally from Scranton, PA, received his Bachelor of Arts degree in Theatre and Dance from Penn State University. He has performed in regional theatres across the country as well as four national Broadway tours including Hairspray, A Chorus Line, Young Frankenstein and most recently West Side Story playing the role of Riff. In addition to performing, Theo has directed and choreographed at both collegiate and high school levels, is a certified resident artist in various school districts and is a member of the faculty for the summer institute Arts Alive. 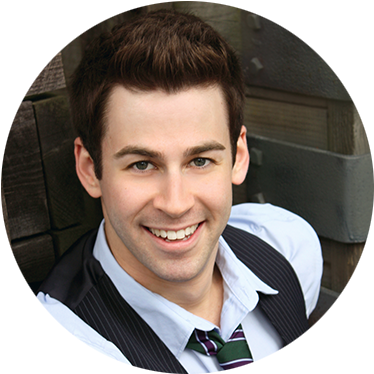 He has worked on several workshops and projects with the Camp Broadway team and is excited to be back for more!